Well, ha-ha, another crazy week with some crazy people and some crazy situations! I’m forgetting English so this should be fun! Forgive me if it sounds like my writing level is that of an 11 year old. No offense 11 yr. olds, (not like I’m afraid of any 11 year olds) I’m sure there are a few that are amazing writers. But, whatever… Anyways, I have never felt like I have before. I have finally realized that being a perfect missionary is possible and that’s what I’m going to strive to be. These people deserve the best because they are in some of the very worst situations. Ok, so we were sitting in a lesson and a guy just mentioned the word revelations and I hit my comps leg which is the, "let’s get the heck out of here" sign. We then were trapped; he started pulling out his bible and quoting scriptures to us. After every single sentence he said “va.” It kinds sounded like a lamb trying to talk. But, let me just tell you this dude had more than 40 plastic bags covering his bible. It was like a Mary Poppin’s bag, it was one bag after the next after the next!!! I kept looking at my comp just trying not to crack up laughing. Anyways he finally got it out and showed us this scripture that I had zero clue what it meant and neither did my comp. so we just sat there in silence knowing that he would talk again. I was just amazed at this dudes ability to talk super fast and make no sense. I’m sure there was a doctrine or something to testify of but, he gave us no time to speak. After all of it he stops and finally talks normal and says, "I have the gift of tongues va?" Ha-ha what? Is that what you were doing the whole time? Showing us the gift of tongues? 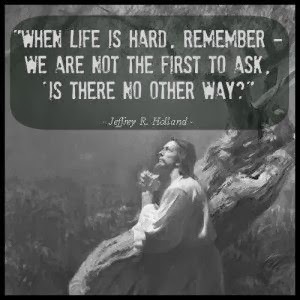 The way we finally ended the discussion was this, we explained that none of what he had just said really matters if he won’t accept the fact that Jesus is the Savior of this world that Joseph Smith was a prophet and restored this church, and that there is a purpose to this life. Then my comp just said, “la palabraaaaaa” it’s what all evangelic people here say after they try and prove a point. We have so many people who say “God first” and that by learning about what we preach is “playing with God.” No… I just want them to know that they haven’t found the true church and to experiment and then come to know for themselves that what we say is true. I don’t know sometimes I feel like I am literally in a hand to hand combat with Satan. He is just so real and we see him and his followers trying at every point and angle they possibly can. Being "apart" from the world is great and all, but mostly it is super sad to watch people fall, fail, and repeat the process again and again. Anyways, sad part over, Valentine’s Day was super, duper awesome and we got to watch some of our favorite friends propose to each other. Yes, it was weird to be there, but they were so happy. (note to my future wife: should I invite the missionaries over before I do it? ha-ha just kidding I love you ) did I just say I love you to my future wife? ha-ha whatever I don’t even know if she reads this? She might be like someone in China or something who knows! So if you have ever taught any one English you figure out they learn a lot of stuff just by listening to you speak English. For instance, my comp and I are just starting a lesson where we are teaching the plan of salvation and its going great but then one of the girls we are teaching gets up and goes to the bathroom, I start talking again and my comp says in English, "she go crap?" I started laughing so hard. Another English moment for my companion was when we got done eating dinner and in the fastest sentence I have ever heard says, "I am not hungry but need poop" ha-ha, I bet my comp hates me because I always laugh so hard but those two experiences that made me cry. I have taught my whole area the use of sarcasm and so now the members use it with me. The other day we were at a member’s house and we were talking about macaroni and cheese the Kraft kind. I was saying how good it was and the member was like, "oh, Elder Hansgen, you are such a good cook, will you teach me how? How do you make it?" I was like are you serious? It is super easy, you just read the instructions. She says, “Oh but how?” I was like, “well, you put water in and....” then she just bursts out laughing. She’s like, “you’re an idiot, that’s as easy to make as cereal.” I was like, “wow, awesome you are like 60 years old making fun of a gringo, 19 year old...congrats!” Anyways, it’s cool. Yesterday Elder Amado came to speak to us; he spoke for 8 hours. I was so spiritually drained afterwards, it was so awesome. He was so intimidating. He was cracking jokes at us because he would ask us like simple questions but, word it in weird ways so nobody would understand, he would say something about Nephi and no one would answer and then says, “ you do know who Nephi is right?” “He is in the bible?” ha-ha yeah anyways, I learned that I am a spiritual midget and I need to work on my gospel doctrine knowledge. I am having a great time and I love to hear how everyone is doing. It is super difficult to send letters but, I’m trying to send all the ones I can. Everyone that is sending stuff to me, “thank you so much and it means a lot more than you think!” Sometimes the Latin’s laugh at the stuff I get but then I’m like, “Oh yeah, whatever, try it,” and then they say, “give me more, more, more.” and I say, “no I love you a lot but, no. this is my little piece of the USA and you aren't from there so sorry.” Ha-ha I’m bad I know but, well I’m happy! Thanks again!!! 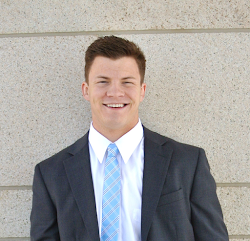 Family, another email, pday, and almost another month of my mission gone. Hope all is well and I hope that we are all standing true to the faith. I hope the legends and our girlfriends are still keeping us in mind. Haha, just kidding anyways. I hope that all my closest friends are still staying close. Go visit my mom and spend time with my family, that’s what I would love for you to do to show your love. They miss all of you. Make brownies with Sam, I’m sure he wants to make them with someone. Give my sister a huge hug but not that long of one. And harass my dad. And for “Sid the kid”, just harass them both they can handle it.